There's lots of quality stuff coming out this week, including season 4 of True Blood. At the end of True Blood season 3 Sookie Stackhouse learned that she is part fairy, thus explaining her special powers. So what new creatures can we expect to meet in Bon Temps, Louisiana in season 4? And just how complicated will Sookie, Eric and Bill's relationship become? Put a hold on the DVD and find out! Arriving from the big screen, Ralph Fiennes has adapted Shakespeare's Coriolanus for a modern audience and despite being considered a minor Shakespeare play the film received fantastic reviews. It stars Fiennes and Gerald Butler as former enemies who join together to seize their destiny. We Need to Talk About Kevin may not take place on a battlefield but it is perhaps an equally bruising story of a mother's relationship with her evil son. On a lighter note, if the Hanson Brothers are your favorite hockey players you will want to check out the hockey comedy Goon, about a player drafted solely for his fighting skills. It will make a great double feature with Slap Shot! Two musical icons are profiled this week in two separate dvds. Carol Channing's colorful career is surveyed with anecdotes from many of her partners-in-performance in Carol Channing : Larger Than Life. Also, Harry Belafonte is profiled, from performance to politics, in Sing Your Song. Perhaps the most anticipated release of the week is a BBC series. Last year, the makers of Sherlock tortured us by only offering three episodes of this fun modern take on Sherlock Holmes. 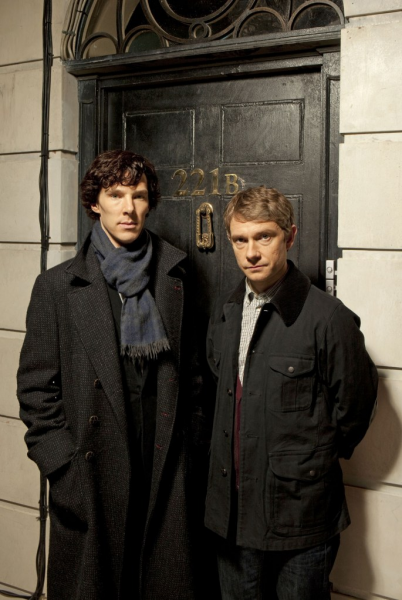 In addition, they left us with a cliffhanger that saw Sherlock and Watson facing Moriarty and explosives. Season 2 of Sherlock is finally here and while it's once again only three episodes, it leads towards its own dramatic cliffhanger. Rizzoli & Isles might be the American Sherlock and Watson...or maybe not. Either way, it's a fun show and season 2 arrives this week. Also this week, Daniel Radcliffe makes a major break from Harry Potter movies with The Woman in Black, a return to old-fashioned spooky ghost stories. We've got it on DVD and Blu-ray. Or if you like a love story blended with a little action check out This Means War, with Chris Pine and Tom Hardy as CIA agents competing for the hand of Reese Witherspoon. Hayao Miyazaki, whose Studio Ghibli has brought us the visual splendor of Ponyo, Castle in the Sky and My Neighbor Totoro, has rewritten the story of The Borrowers in the form of The Secret World of Arrietty. Despite being found in our children's department, Studio Ghibli films are always massively entertaining for the whole family. We've got Arrietty on DVD but you may want to get the Blu-Ray, if this is an option for you, in order to see the film in its full hi-res glory! There are movies for the whole family this week! 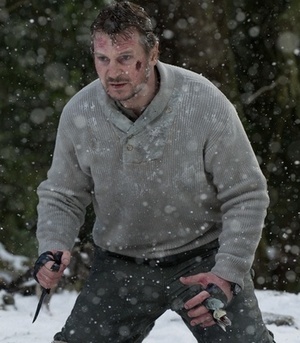 If you're looking for action, you won't be disappointed as Liam Neeson battles hungry wolves in the exciting thriller The Grey, which is available in DVD and Blu-ray. Janet Evanovich's Stephanie Plum sees her film debut in One For the Money, starring Katherine Heigl. The Oscar-nominated Albert Nobbs, with Glenn Close in a powerful performance as the title character, also comes out this week on DVD. The Avengers are not the only folks with superpowers as you'll discover when you watch the well-reviewed Chronicle. In Chronicle, teenagers acquire new abilities when exposed to an alien discovery...but how will they deal with such powers? If you are looking for quality, thought-provoking science fiction, Chronicle is your flick. It's available on DVD and Blu-ray. If you're interested in seeing one of the top acting performances of last year you'll want to check out Rampart, with Woody Harrelson as a complex, corrupt LA cop. The movie was co-written by James Ellroy, whose crime writing is tops and whose hard-boiled crime fiction served as the basis for the excellent L.A. Confidential and more. 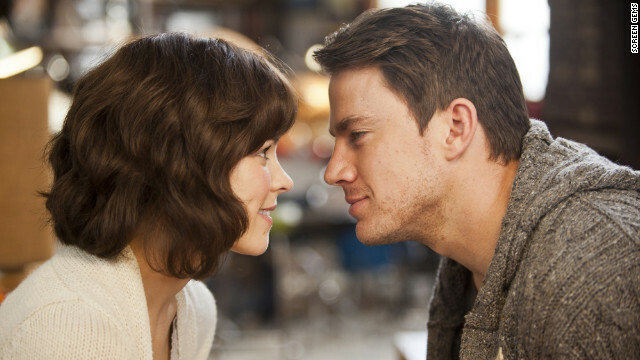 It's a slow week for new releases but the filmed-in-Chicago The Vow is sure to please you romance lovers. Rachel McAdams wakes up from a coma with severe memory loss and Channing Tatum has to win her love back. Bring lots of kleenex! There's good news for lovers of Showtime's dramedy The Big C, as the second season hits dvd. Golden Globe winner Laura Linney returns as melanoma survivor Cathy Jamison, who finds support from family and friends as she examines her life. Next week's new releases feature Liam Neeson vs. wolves, a pack of kids with superheroes who aren't the Avengers and a woman who dresses as a man. You can put holds on our new and forthcoming releases through our Bibliocommons catalog.